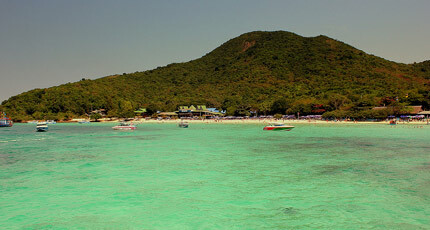 Cox and Kings offers 6 days and 5 nights beautiful Thailand tour package start from delhiand Mumbai. Arrive at Bangkok airport and you are transferred to Pattaya. On arrival check in the hotel and relax for some time. Rest of the day is at leisure for your individual activities. Overnight stay at the hotel. After Breakfast proceed to full day sightseeing of Coral Island in a speedboat where you will be amazed at the view of the beautiful marine life and coral formations The island also offers a range of water sports to be enjoyed at an additional cost, like water skiing, parasailing, snorkelling. Rest of the day is at leisure for your individual activities and you can also take a tour of Nong Nooch Village. known for its tropical gardens Thai setting and for its cultural show. After sightseeing back to the hotel. Overnight stay at the hotel. After Breakfast check out the hotel and proceed to Bangkok On the way visit Gems Gallery - the world's biggest jewellery and gems centre On arrival at Bangkok check in the hotel and relax for some time. 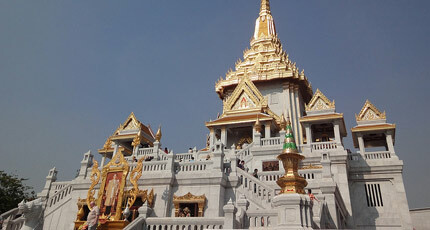 In afternoon take a half day sightseeing of magnificent Golden Buddha Temple and Reclining Buddha Temple. Evening is at leisure for your individual activities. Overnight stay at the hotel. After Breakfast full day is at leisure for your individual activities and you can also take a optional tour of thailand's greatest open zoo and leisure park - Safari World and Marine Park. Overnight stay at the hotel. After Breakfast full day is at leisure for your individual activities and you can also explore the city on your own. Overnight stay at the hotel. After Breakfast check out the hotel and proceed to Bangkok airport to board a flight for your onwards journey. Services Of Cox & Kings Tour Manager. Govt. Service Tax 3.09% On Gross Bill Effective 1st July 2012.
we have booked our tickets yestrday now looking for a best land package with good hotels which allowes visitors (Couple friendly ) we are on a bachelors party of one of our friend so we are looking for happening area nd a location for the hotel . nd we are planning for phuket as well as per our plan 3 days pattaya 3 days phuket nd 2 days bankok 7th sep to 15 sep at night we have flight for india … ..